It’s time to take a cue from chic bars and bring that allure to your home or work space. It’s safe to say that the kitchen counter is akin to the modern day dining table these days—a space that’s ideal for gatherings and thoughtful conversations. This space in our kitchens lack the formality of a traditional dining experience, allowing your guest to feel immediately at ease. 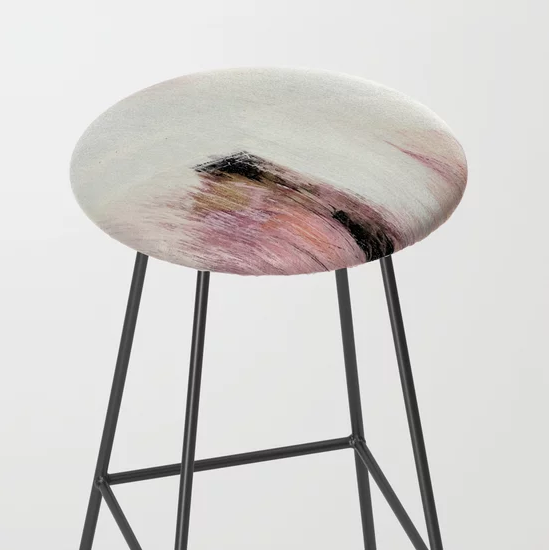 These factors reinforce the idea that your bar stools should reflect your aesthetic sensibilities and personality. And, because we care, we’ve curated our vast collection to just twelve modern designs that you and your guests will notice and appreciate. Let’s dive right in! 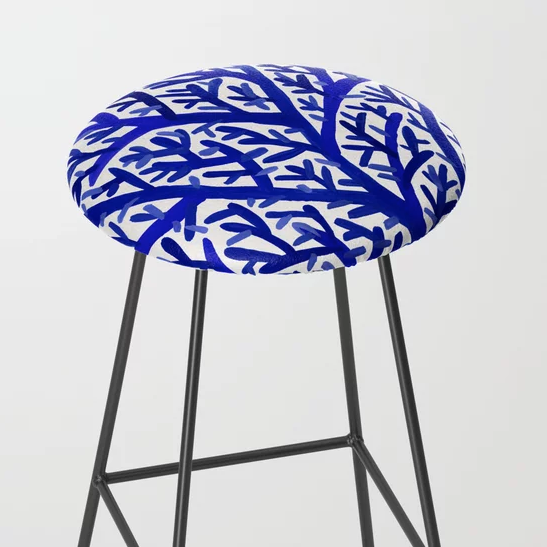 Simply put, abstract designs are always a safe bet for modern bar stool seating. You’ll want to curate designs that feature colors, shapes and lines that complement your existing furniture and artwork. 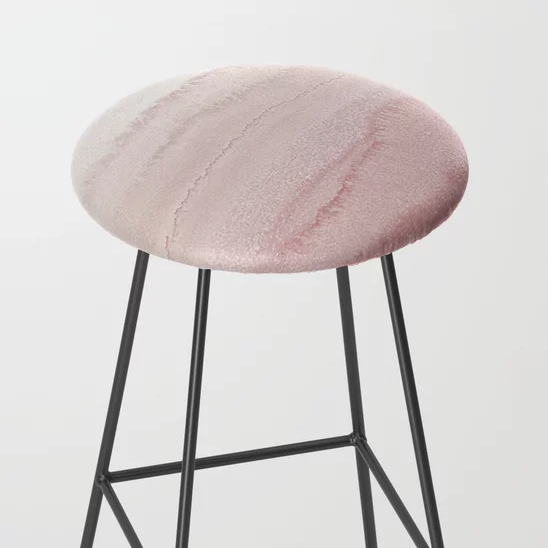 This gorgeous rose gold bar stool is perfect for a home that has elevated, timeless classics. If you had to equate this to a personality, it would be equivalent to Jane Birkin’s style. You can’t go wrong, especially if you pair with softer pastel-colored furniture, decor or artworks in your space. 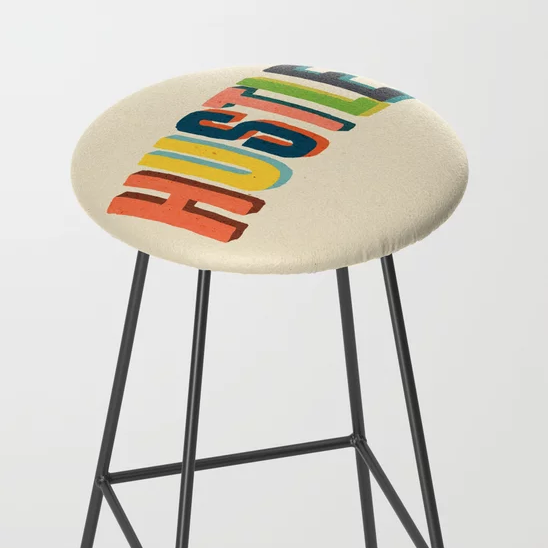 Because sometimes you need a bar stool to do the talking, slash motivating, for you. 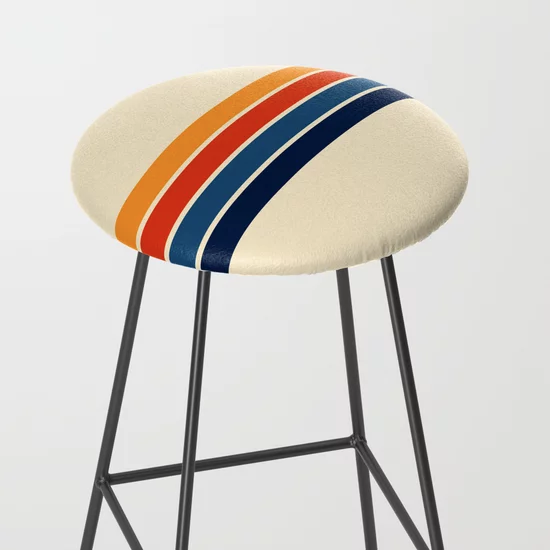 Consider curating a collection of bar stools with various bold statements—they’ll also be great to get the conversation started when you’re hosting friends. 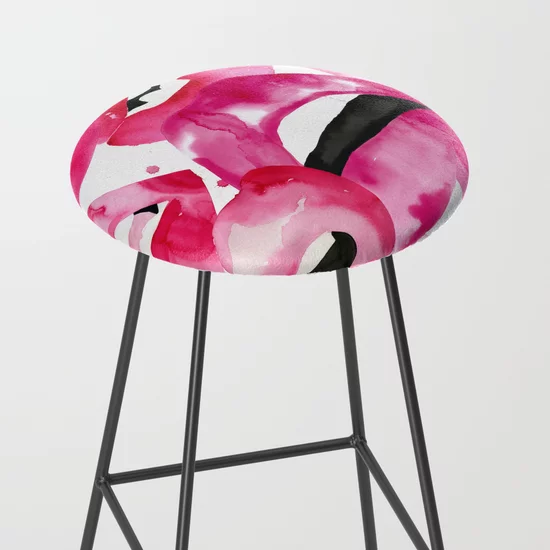 A bold, vibrant bar stool is perfect for someone who is all about being extra and owning it too. These seats are great for an exuberant personality, or for someone who likes to have their decor do the talkin’ first. 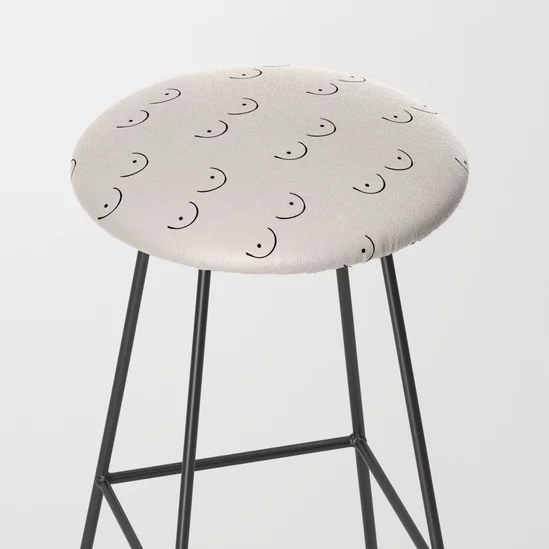 These retro bar stools are ideal for nostalgic personalities—the person that binge-watched Stranger Things, and then proceeded to also binge on the merch too. If you’re that person, and already have nostalgic momentos in your space, these will fit right in. There are certain parts of the world that are known for their love for color, and India is certainly one of those places. 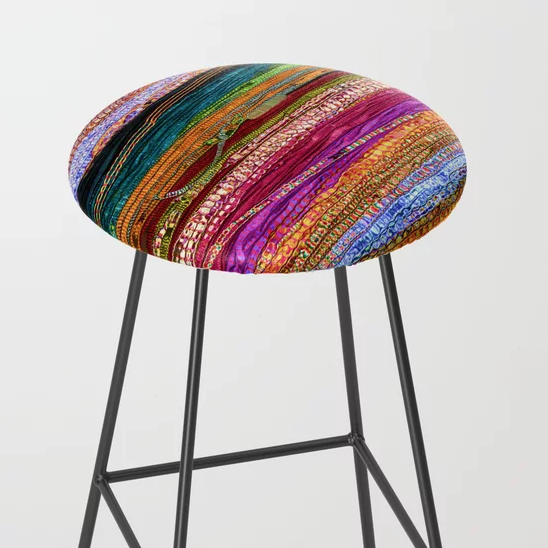 To sit on a bar stool with a design reflecting the rich colors in Indian tapestry is sure to transport you to this part of the world. 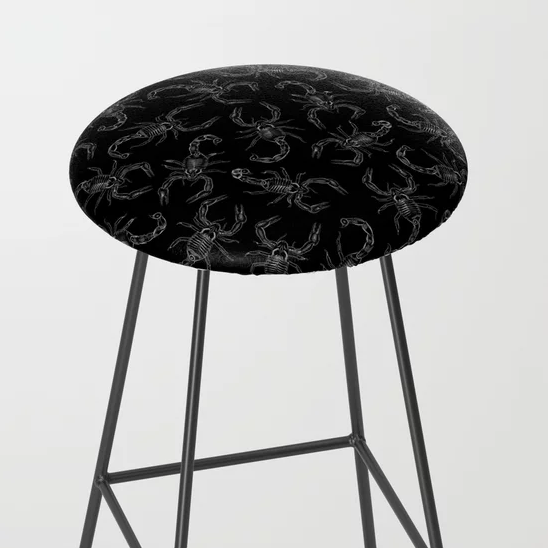 If you already read your daily horoscope, it makes perfect sense to celebrate your star sign with bar stools that reflect your passion. The best part—the colors of this seat are very forgiving, just like your personality. Win-win. If you appreciate the architectural philosophies of Frank Lloyd Wright, it makes perfect sense why you’ll want to bring some of your favorite nature settings indoors. 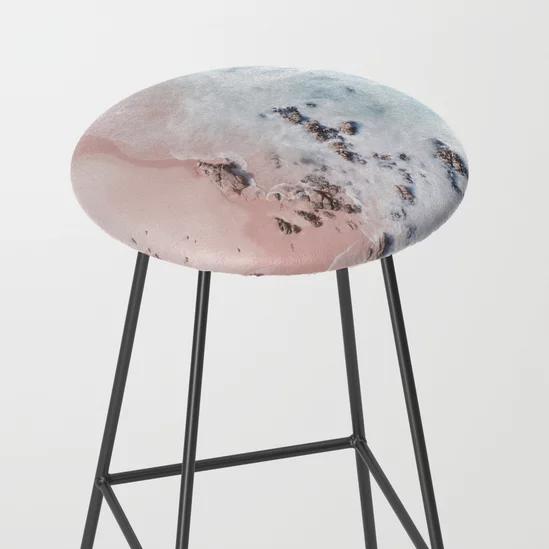 Take inspiration from bodies of water or favorite plants when selecting the perfect nature photography print for your bar stools. It’s time to pay homage to talented illustrators, especially if they’ve created a bold design that is sure to get the conversation started. Select an illustration that speaks to you, and something that will also create intrigue. If you appreciate what Alessandro Michele has done for the house of Gucci, you’ll be sure to appreciate vintage floral prints. 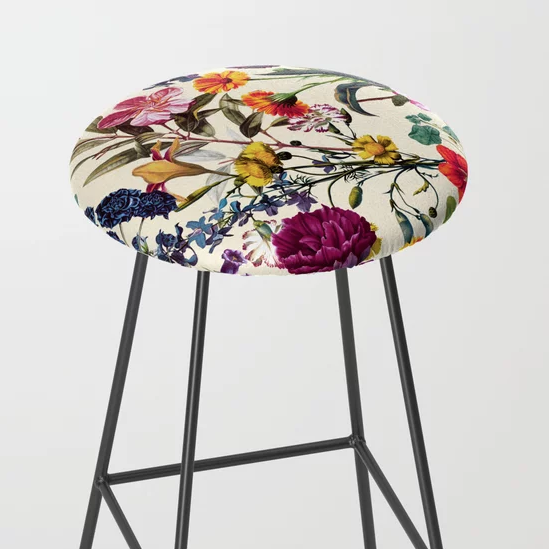 These designs are an updated take on your grandma’s florals, so don’t fret, but it won’t hurt to get her in the game when you’re on the hunt for the perfect floral print for your bar stools. 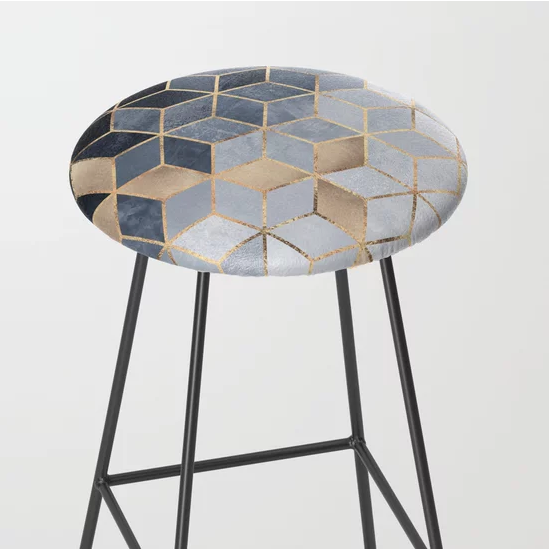 If you love the tenets of wabi-sabi, bring your appreciation of simple and refined geometric designs to your bar stools. Looking at these designs every day is sure to be a meditative experience. While it’s difficult to go wrong with any shade of blue, indigo is our favorite go-to hue. This gorgeous color is just what you’ll want to look at for an instant dose of cheer and calm.